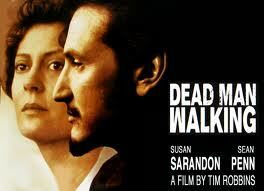 I remember when I saw the movie Dead Man Walking together with my son Chaim, one of my three brilliant children. He was about twelve years old at the time I guess. Sean Penn and Susan Sarandon were also brilliant in this gut-wrenching movie about a brutal murder, as seen from the persepctive of all the parties involved, including the murderer who is cinematically transformed from a loathesome cockroach to a pathetic figure. On the way out of the movie, Chaim told me it had transformed his opinion about capital punishment. This week’s Torah reading touches the edge of this subject. If you’re a person who draws no distinction between murder, manslaughter and execution, you should probably not waste your time here. But if you do draw a distinction, it will pay you to stay around because this little lesson from this week’s Torah reading also has everything to do the distinctions between theses three and also with with why the death of Yeshua of Nazareth is the most significant death of all. Cities of Refuge – This week’s reading, and three other places in the Torah, names six cities in early Israel as cities of refuge: Golan, Ramoth, and Bosor, on the east of the Jordan River, and Kedesh, Shechem, and Hebron on the western side. These were locations in the Kingdom of Israel and Kingdom of Judah to which people who had killed other persons would flee and claim the right of asylum until such a time as they could come to trial. But why did they need to flee to one of these cities for safety. Couldn’t they just await their trial at home? No, not really. These cities were crucial because only in these cities would those accused of murder be legally untouchable, and more to the point, physically safe. Outside of these cities, these perpetrators would be killed by someone called “the Avenger of Blood.” Relatives of the deceased including the Avenger of Blood had a human desire to “even the score.” In addition, Jewish ethics viewed the spilling of innocent blood as contaminating the Holy Land, bringing the wellbeing of the community under threat of Divine judgment. So bringing the guilty to justice was a big deal, and the death of the perpetrator for the murder of the innocent was viewed as expiatory. Understandably, family members were most impassioned about this for the most personal of reasons. The Avenger of Blood – This was a designated relative of tthe person who had been killed. He was responsible to take the life of the killer under two conditions: if he found that person outside one of those cities of refuge, or, if the court convicted the killer of premeditated murder. In this case, the court itself would then turn the killer over to the Avenger of Blood for execution. Manslaughter (The term in the text for those who commit manslaughter is “the manslayer). – This term applies when someone kills someone inadvertently, there being no history of bad blood between himself and the deceased party. This inadvertence is both a matter of motive—he had no history of animosity against the deceased—and means—the object that killed the person seemed harmless enough OR the object killed the person by accident, such as a heavy stone accidentally falling on someone’s head, or an axe flying off its handle when being used, and thereby killing a spectator. Jewish halachic discussion goes to great lengths to draw the appropriate distinctions about all the definitiions being discussed in this study. The discussions are worth reading as they point out how ethically cautious is Jewish religious culture. Murder – There were a variety of qualifications for something to be termed a murder. First, the accused must be someone with a history of animosity toward the deceased. Second, the implement used in the killing had to be something which shoould have been regarded as a lethal weapon or use of lethal means, such as strangling. Third, the killing had to be with premeditation. Execution – The legally sanctioned taking of the life of a person convicted by a court of murder. The executioner was to be a member of the family of the murdered person, the Avenger of Blood. In other cultures all family members sought to take vengeance for the person who had been killed, whereas in Torah it was a designated representative. In other cultures, the relatives of the deceased sought to kill any relative they could find of the person accused of murdering their family member. In the Torah, the only person whose life could be taken would be the one person the court found guilty of murder. In other cultures there was no court involved: it was just retaliatory killing. In Torah culture it was the court’s responsibility to decide the disposition of the case. In other cultures even murderers or mass murderers could flee to a city of refuge where they would be protected. In Torah culture, only those who had not yet come to trial or were guilty only of manslaughter, not premeditated murder with malice aforethought. It is wise to ask if people found guilty of manslaughter had to spend the rest of their lives in these Cities of Refuge, away from their families, from their land inheritance, from the context in which they grew up? In a sense, while in the Cities of Refuge, they were under house arrest, but not even in their own house. So did they have to stay there all their lives? Not necessarily. In other words, it depends. But depends upon what? Manslayers only had to stay in the City of Refuge until the death of the High Priest who was in office at the time. As soon as he died, they were free to go home! This is a huge marker in Torah for the fact that there is in Jewish through a precedent for vicarious atonement–someone’s death being in place of another’s. Because the High Priest died, the manslayers were freed from the fear of death at the hands of an Avenger of Blood! They were free to go home, to go back to family, friends, land, context, and they were considered exonerated. It should go without saying that this is huge for Messianic Jews. It provides an avenue of response to those who categorically discount the idea that we find forgiveness through the death of another. Such objectors need to remember what classical Jewish sources say on the matter: “It is not the exile of the manslayer that expiates but the death of the High Priest.” (M. Makkot 2:6; b. Makkot 11b; see also Leviticus Rabbah 10:6). Rabbi Jacob Milgrom, of blessed memory, one of our century’s greatest Old Testament textual scholar wrote: “As the High Priest atones for Israel’s sins through his ritual service in his lifetime, so he atones for homicide through his death.” This is found in his rightly esteemed commentary on the Book of Numbers, page 371. Of course we recognize in this a startling foreshadowing of what the Messiah, our great High Priest did for us. Through his death we go free. There is no condemnation for those joined to Messiah Yeshua. This is good news! It is wrong to think that sin is no big deal since “Yeshua paid it all.” Even in the case of accidental and unintentional manslaughter, the perpetrator lost his or her freedom, sometimes for their entire life, or for many years, until the High Priest died. Something terrible had happened, the death of an innocent person, and the consequences were grave. Life could never be the same. Similarly, our sins are serious business, even if forgiven. We ought never to miss or forget this. It is also wrong to think that sin is no big deal because someone had to die for you to go free—and that someone was the sinless, splendid, pure and loving Yeshua of Nazareth. This is a similar insight to that enshrined in our traditiion where we are told that when the Jewish people came through the Red Sea, the angels broke forth into song, at which point God rebuked them saying, “My creation is drowning in the sea and you are singing?” God takes no pleasure in the death of the wicked. He also takes no pleasure in our treating the blood of Messiah like a handy rinse, as I once heard someone say, fifty years ago. I have never forgotten: nor should you. It is good to ponder from time to time just who had to die and how he had to do it so that we might go free. It is right to realize that indeed there is no condemnation for those who are joined by faith to Messiah Yeshua. His death has paid the price for our sins. All of them. It is right for us to live a grateful kind of life 24/7, 168 hours a week, 52 weeks a year. Here are some ways to look at this. You were bought at a price; therefore glorify God in your body and in your spirit, which are God’s (1 Cor 6:20). Your time and energy belongs to God. You are not to make yourself unavailable to him because of other commitments you undertake. You were bought at a price; do not become slaves of men (1 Cor 7:23). Yes, like the old song says, “Yeshua paid it all.” But isn’t it time you gave him what he paid for? You are not your own, you were bought with a price, the biggest price of all. We should all live every moment of our lives with that in mind. And that will be VERY good news for everyone. And blessings to you as well, Pat. Great observation/application Rabbi. As a follow up, could it be said that today, we are essentially living in a city of refuge, protected from the Avenger, held secure by the High Priest that has already moved beyond death back to life thus ensuring our position – so long as we remain within the city of course. The reality of “no condemnation” therefore only applies if we remain in the City of refuge, under the covering of the High Priest, Yeshua. Thank you for taking things further, Michael. Indeed, this passage and the other three that speak of the Cities of Refuge is fascinating to contemplate and challenges us to think more deeply of what Messiah has done for us, and what the consequences ought to be in our lives. Thank you, and Shabbat Shalom to you as well. I thought to myself, “I’m going to have to look up cities of refuge in Scripture.” It sounded to me like was taking something from ancient Israel and projecting it into his eschatology, which ends up with a misled view. Then I found your blog from a reference in a Morning Meditations blog article. The name and picture attracted me to look at this article, and lo, and behold, there you teach about the cities of refuge! They were what I thought they were, and I learned more in the process of reading your article. Thank you!